Finding the right room in the right hotel, or the perfect house to rent, is a key element of any trip. 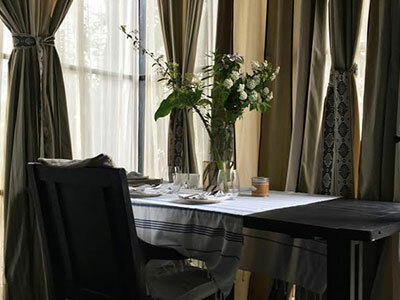 We know our hotels well, from fine grand hotels to quaint country inns. Moreover, we have extensive relationships with their personnel, an asset that translates into better service for our clients. We are also connected with the best house rental companies worldwide. Lisa Lindblad’s Father was the founder of the original and preeminent luxury international real estate company, Previews Inc. Property is in her blood and a great passion of hers. We take great joy in finding fully staffed houses in Italy, the Caribbean, the British Isles, Southeast Asia and Africa. We also have many private houses and apartments, not listed with other rental agencies, on offer. For large family group gatherings we can find you the right house or the small hotel property to be taken on an exclusive basis. Once we locate you in your house or hotel, we will then provide you with designed daily itineraries that meet your interests and your needs. The time I spend on preparing your travels and the knowledge I bring to this preparation are the twin pillars upon which my service to you stands.